Home > Archive by category "Homepage slider"
The Kenedi Foundation is pleased that the British musician Adrian Snell is again prepared to take up a collection during his Passion Easter concert for the benefit of this Albanian foundation. The five concerts on 24-28 March in several Dutch towns and cities will tell the Easter story in a musical way. During the evenings, Adrian will also talk about his involvement in the Kenedi Foundation. Every summer the British musician visits Korce and uses music as a way to communicate with street children, the disabled and the elderly. Adrian will play some songs together with the Albanian musician Nardi Melesini. 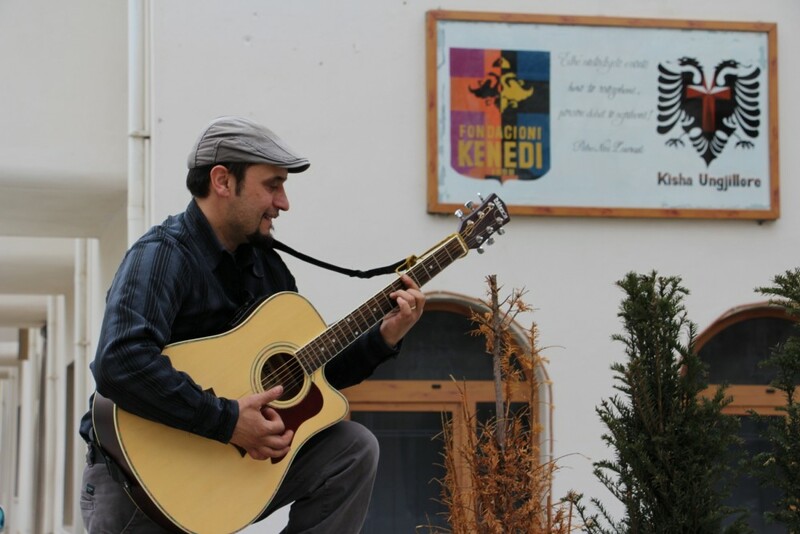 Nardi who was born in 1973, is one of the pastors and music leader at the evangelical church in Korce. He has a compassionate heart and a giving nature. Nardi writes his own worship songs and music. In 2008 Adrian and Nardi with an Albanian worship group made a CD. In 2015, Adrian recorded a pair of Nardi’s own music and songs. Nardi is also the chaplain of the prison in Korce and supports the families of the prisoners. Nardi is married and has one son. ‘The Passion’ is one of the greatest works of the English songwriter and has influences from classical, modern and choral music. Through the songs the listener experiences the Easter story, with its various protagonists. It brings the alive the Easter story in a unique way! The collection during the Christmas concerts by Adrian in December 2015 raised more than 6,000 euros. Tickets for the Easter concerts can be ordered through teh Dutch concert organisation Events4Christ.nl. The Kenedi Foundation has partnered with Nestor Furxhi in opening a food bank. The project, which is the fourth of its kind in Albania, began in March 2015 when the group began collecting healthy, non-perishable food for distribution. 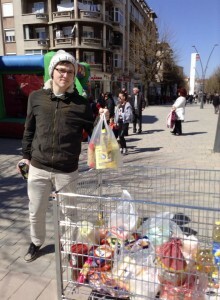 Food is being collected in supermarkets and stored at the Evangelical Church of Korce/Kisha Ungjillore e Korces. Almost half a million Albanians live below the national poverty line. Many have less than one euro a day for personal expenses. In the Korce area, many people live in poverty. The food bank is designed to help the extremely poor and people in emergency situations. An additional goal of the project is to provide education in high schools about nutrition and ways to avoid food waste. Furxhi was inspired to begin the project by the desire to act on the needs that he sees. “My personal example is Jesus who said in Matthew 25:34, ‘For I was hungry and you gave me something to eat, I was thirsty and you gave me something to drink,’” says Furxhi. 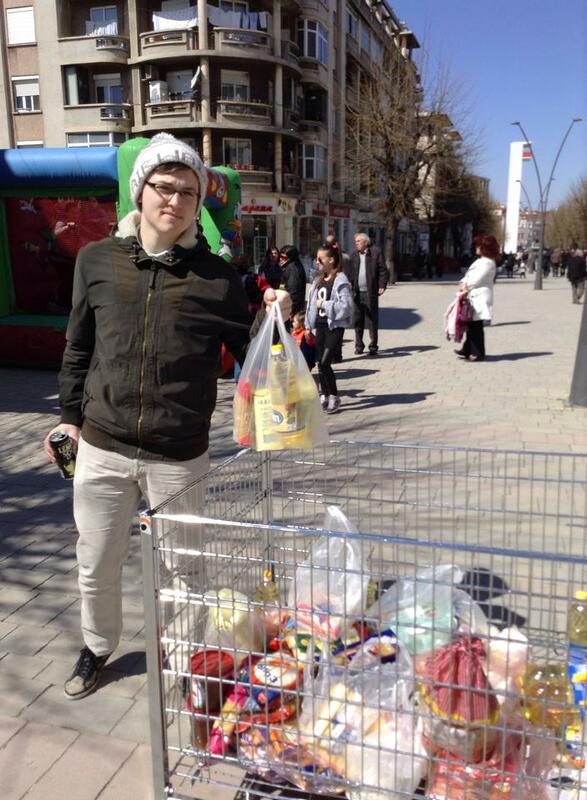 “Food Bank Albania” was started in November 2013 by a Dutch NGO, Mensenkinderen. The organization cooperates with national and independent organizations in Albania and is operated by volunteers. If you are interested in being a part of this project, contact Nestor Furxhi, nestorfurxhi@yahoo.com or 069 366 1481. You can Follow the foodbank at Facebook or take a look at Foodbank Albanië Website.